Determine if a transaction is a dictionary operation. Retrieves the error_info field from a trx. Retrieves transaction's que state in a human readable string. The string should not be free()'d or modified. Releases the search latch if trx has reserved it. Flag a transaction a dictionary operation. Determines if a transaction is in the given state. The caller must hold trx_sys->mutex, or it must be the thread that is serving a running transaction. 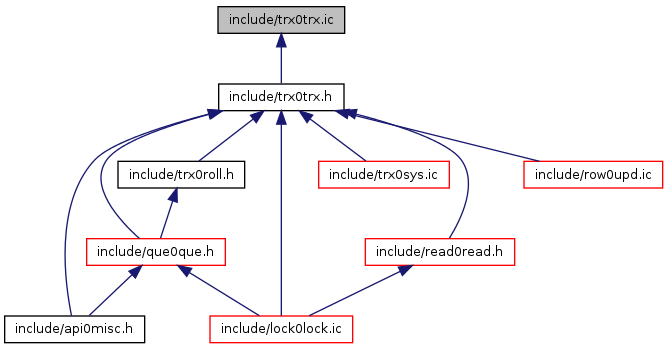 A running transaction must be in trx_sys->ro_trx_list or trx_sys->rw_trx_list unless it is a non-locking autocommit read only transaction, which is only in trx_sys->mysql_trx_list.